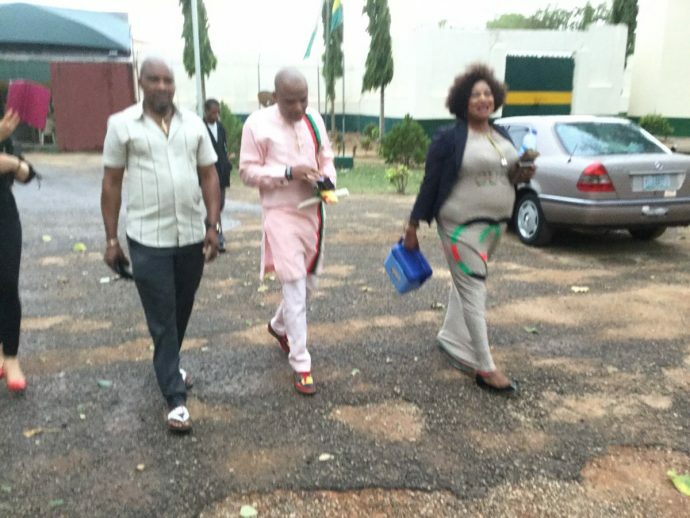 I was born to champion the biafran struggle – Nnamdi Kanu – Royal Times of Nigeria. Leader of the Indigenous People of Biafra (IPOB), Nnamdi Kanu, on Monday, said he would never give up his agitation for Biafra. Kanu said this when he paid a thank you visit to the leaders of pan-Igbo groups, the Eastern Consultative Assembly and the Igbo Youth Movement in Enugu. He also said that he would not drop the agitation for the actualisation of a Biafran nation. Kanu said; “I desire Biafra. I want Biafra. I want nothing else other than Biafra. I will not settle for anything else other than Biafra. “That was what I was born to do and that is what I will do till the day Biafra will come, that we may live as free men on this very earth as the Most High God, Chukwu Okike Abiama, ordained it,”. “I would not want to go to heaven to experience it (freedom). I want to experience it here,”. “I thank all of you that worked very hard, especially the Igbo Youth Movement, I must be specific, and the Eastern Consultative Assembly, and all the market men, market women, those that closed their shops to see us and all those who made efforts to ensure that I was not consumed. “On those we left behind, we are making effort to see that they come out because they committed no crime. All we are seeking for is freedom – a return to the values we had before the advent of white men. A situation where people move their cows into our farms and slaughter our people will no longer be acceptable,”.